They’re quick and easy to make, but many people don’t take advantage of all of the tasty ingredients that can be added to a sandwich. Get creative and think beyond the basic sandwich equation of 2 slices bread + 3 slices turkey = 1 boring sandwich. In fact, according to national survey data, the most commonly consumed sandwiches in the U.S. use cold-cuts, burgers and poultry as their protein source. In honor of National Sandwich Day, here are some tips on how to dress it up and make your sandwich a piece of art! Use a non-traditional foundation – while whole grain bread is a typical go-to, a sandwich could start with a hot dog bun, naan bread, or even a taco shell! Consider leftover protein – upgrade your sandwich with roasted chicken breast or thinly sliced steak from last night’s dinner. They make great protein options for your next day’s sandwich. Kick iceberg to the curb – use spinach, romaine, or even colorful red leaf lettuce. The general rule of thumb is the darker the color, the more nutrients. Think outside the box with fillings – lettuce, tomatoes, and onions may be the standard, but don’t limit yourself to just these veggie toppers. Roasted red peppers, cucumbers, and jalapeño peppers only scratch the surface to the limitless combinations of vegetables on sandwiches. Get fancy with condiments – grab some stone mustard or get even fancier with hummus or avocado slices. This still provides some fat but the good kind, and without the use of mayo. Don’t forget the spices – spices can be used to add a lot of flavor without the calories. Go beyond salt and pepper with garlic powder, turmeric, and ginger. Packing lunch for tomorrow? – prevent soggy bread by putting cheese and/or meats next to bread and then the condiments on the inside. Or if you’re eating a peanut butter and jelly, spread some peanut butter on both slices of bread to protect it from getting moist. Just keep in mind: the best sandwich is the one you like. Interested in defining your sandwich choices? Mashable released this great Sandwich Alignment Chart. Check it out and find out if you’re more of a sandwich purist or rebel! One of my favorite sandwiches is cucumber, bean sprouts, onions, and poppy seed dressing on two slices of hearty whole grain bread. Have any other tips to creating a sandwich masterpiece? Or want to share your favorite recipe? Post below! The fall season is officially upon us, despite what the outdoor thermometer is saying (is it really 90 degrees outside right now???) And with September as Whole Grains Month, I’d like to shine a spotlight on my favorite whole grain: oatmeal. As a basis for my recipe for the most perfect oatmeal. I gotta admit, overnight oats makes for Instagram-worthy photos with pretty mason jars and colorful toppings, but the trend is totally lost on me. The whole process of making hot oatmeal in the morning takes less than 5 minutes from start to finish, so I never felt the need to prep it the night before. Besides, when I make oatmeal, it’s to warm me both inside and out, starting with my hands as I cup the piping hot bowl. I’ll sit there with my bowl, breathing in the cinnamon-y aroma while the oatmeal itself cools just enough so it won’t burn my tongue. As it cools it transforms to a gelatinous, thick porridge that’s both hearty and nutritious. In place of breadcrumbs when making meatloaf. I wish I could take credit for this genius idea, but I got the recipe from a cookbook many years ago. This same recipe introduced me to the idea of using muffin tins beyond making actual muffins, well before it became trendy. When you use oatmeal in place of breadcrumbs, the result is a meatloaf that’s a little more fluffy, but also a little less stable. Still, it’s very yummy! To add toothiness to my smoothies. Just add a scoop of uncooked dry oats – so easy! 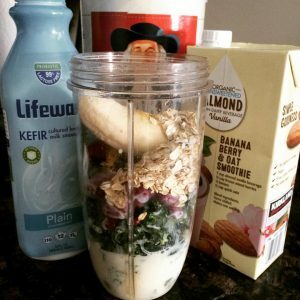 I can’t remember how I came across this idea, but this is one of my favorite concoctions, especially as a post-run smoothie. I love green smoothies using kale or spinach as a base, but then the rest is similar to my Most Perfect Oatmeal recipe: ½ cup frozen berries, ½ frozen banana, ½ cup kefir or milk, ½ cup almondmilk or water, 1/3 cup dried old-fashioned oats, dash of cinnamon and vanilla, and voila! Sometimes I add almonds for extra protein. What I love most about oatmeal is that it’s inexpensive and superbly nutritious. It’s a good source of fiber, and the type of fiber (beta-glucan) has been proven to lower cholesterol. It’s also low in fat and sodium – all the markers of a heart-healthy food. For all this nutrition, I can make about 30 bowls of oatmeal using a $4 canister. And, because I’m making oatmeal from just rolled oats, I’m in charge of how much sugar to add (or not). If you have a favorite or unique way of using oatmeal, please share! Disclosure: none. I do not work with any oat companies or brands. All opinions and messages are my own. This post originally appeared last year. While the organization mentioned has changed its name to Britepaths, the mission and need remain the same. Please consider donating this Giving Tuesday. Thanksgiving is my favorite holiday. This year I spent it at my sister’s house with her family, my mom, and lots of friends. We ate until we were stuffed, waited a while and ate some more. The next day there were plenty of leftovers for another Thanksgiving meal (“second Thanksgiving” is secretly my favorite dinner). We have our favorite foods and even our not-so-favorite (I’m thinking of you, pecan pie) which we can easily pass up because there’s a lot of other, tastier stuff to go around (ahh…cherry pie!). What I love about Thanksgiving most of all is the tradition. Yes, traveling can be a hassle, especially with kids and all the gear they require. We eat too much and sleep too little. But it’s all worth it for the memories, the connections and the familiar scents from the kitchen. But sometimes, “tradition” translates to “responsibility,” or worse, “burden.” I felt a smidgen of this when I was a young professional, living on my own for the first time. My entry-level job barely paid the rent, but the holiday season meant trips back home and presents to buy and extra tipping. For a while my holidays came with a little black cloud (let’s call it “credit card debt”) that I hoped a Christmas bonus that may or may not materialize would go directly to help make that cloud go away. My holiday burden was nothing compared to a parent with kids depending on them. To this parent, the holidays mean trying to keep tradition alive even when it seems impossible. This is especially true for households already living from paycheck to paycheck, with income levels “too high” to be eligible for assistance. Many times these families were doing OK until circumstances led to a downward spiral, things like a job loss, divorce, injury or serious diagnosis. These families don’t necessarily need ongoing support, but they do need help to get back on their feet at minimum, and most certainly a little extra help around the holidays. And their kids…they need a sense of normalcy. This year, my family started what I hope will be a new tradition. Through a local program called Our Daily Bread, families in Fairfax County are matched with a sponsor to provide essentials for a holiday dinner. As a dietitian, I can’t imagine not having a delicious meal at Thanksgiving, not to mention the aromas and togetherness and family time it can bring. That’s why we sponsored a family of six and provided them with provisions to cook their own Thanksgiving dinner. It was so easy: I was matched with a family, called the main contact, asked about food allergies and preferences, and arranged a drop-off. I knew I found a great match when I asked the mom if she wanted a pre-made meal, but she said no: she’d like the ingredients so she could make the Thanksgiving meal together with her kids. Food insecurity isn’t a problem “out there” or in a city far, far away. It’s here. It’s everywhere. It may affect your child’s classmate. Or your favorite store clerk. It may be your coworker, who hides his debt behind a facade. A full 14 percent of households in the U.S. were food insecure last year. That’s 48.1 million people, 15.3 million of which are children. Oatmeal: This fiber-rich breakfast staple is a heart-healthy powerhouse. The beta-glucan in oatmeal acts like a magnet to cholesterol in the bloodstream and flushing it away. Oatmeal is also really inexpensive and versatile. 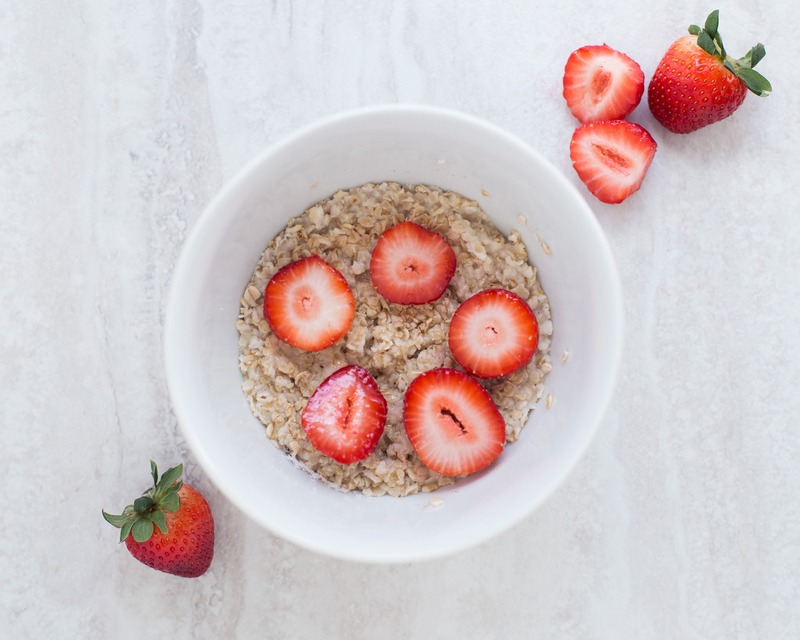 Not only does it make for a hearty breakfast (check out this recipe for my perfect oatmeal), but in my family also use it in place of breadcrumbs for our favorite meatloaf recipe. Beans: I think of beans as nature’s perfect food. It’s a vegetable and a protein, has little fat and calories yet provides numerous vitamins and minerals. The little legume – also called a pulse food – is perfect for pregnant and breastfeeding moms as it provides folic acid, iron and fiber. The United Nations called 2016 The Year Of The Pulses, and my favorite way to get more pulses is by eating black beans with tomatoes and a sprinkling of reduced fat cheese. Yum! Nuts: Yes nuts have fat, but it’s primarily heart-healthy monounsaturated fats. Nuts also provide fiber (are you noticing a theme here with this amazing nutrient and heart health? ), and protein to keep you satisfied. I eat pretty much all kinds of nuts, but my favorites are lightly-salted almonds and peanuts. I even make my own peanut butter after being inspired by this post from a fellow dietitian blogger. Rarely does a day go by without having a dab of my homemade PB on an apple or a piece of toast. Salmon: I don’t eat salmon very much at home, as certain family members have an aversion to its smell (not an uncommon turnoff, I’ve learned). But this pink fish is my go-to source for another kind of heart-healthy fat: EPA and DHA omega-3s (disclosure: The Global Organization for EPA and DHA omega-3s is a client, but they did not ask me to write this post). These marine-based long-chain omega-3s – not to be confused with plant-based ALA found in certain nuts, seeds and other foods – have been shown to support cardiovascular health, as well as brain health and other possible benefits (more science needs to be done). If you’re a health profession wonk like me and want to learn more about the science behind EPA and DHA for heart health, read this white paper. Or, you can get some basic information at AlwaysOmega3s.com. Salmon is great on the grill (and leaves the smell outside) and is also really convenient – and inexpensive – when you buy it canned or in pouches. Fruits and Vegetables – all varieties also make my list. I eat vegetables pretty liberally, as they provide tons of vitamins, fiber and nutrients for very few calories. I eat plenty of fresh fruit as well – sprinkled on my oatmeal, mixed in a smoothie or as a snack on its own. Fruits and vegetables should take up roughly half your diet. My favorites change by the season but these days I’m really into jicama, snap peas and clementines. The best thing about the foods I’ve listed here is that they’re all easily accessible, found in your local grocery store, and are typically inexpensive. Eating a heart-healthy diet need not only be for those who can afford luxuries. Don’t forget to couple all this healthy eating with being active. Walking, playing, dancing – all of that is free!!! 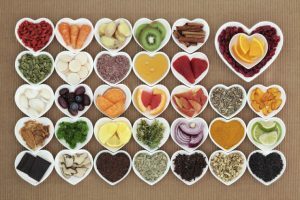 Tell me your favorite ways to be heart healthy by commenting below. Disclosure: I was not asked to write this post by any of my clients or colleagues, nor was I compensated to do so. I only work with companies and organizations that I believe in and that place a high priority on science and research. All opinions expressed are mine and mine alone.